Pregnancy: A New Beginning is gives all new parents-to-be to a memorable session of informative and interactive activities! 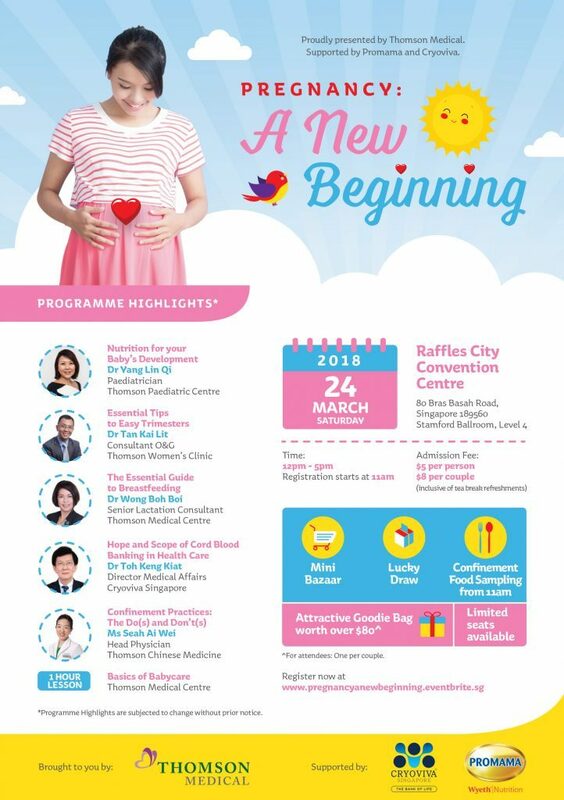 During this seminar, experts from Thomson Medical Centre will share tips and guide you on what you need to know about being a first time parent. From breastfeeding to making delivery decisions and traditional confinement practices, this seminar is your one stop solution! Get your hands dirty in our Basics of BabyCare and hear us bust the myths on traditional confinement practices. Be equipped with the necessary parenting survival skills and pregnancy knowledge, all ready to make this a New Beginning for you and your little one. Register with your partner for 24th March 2018 for an afternoon of engaging activities and education now!